Risen Church is for the campus, for the city, for Jesus. Risen Church’s vision is to be a church on mission winning the lost and soaking the Southside of Brisbane and the city with disciples of Jesus. We’ve chosen to be near the university given the opportunities are incredible. The two nearby campuses of Nathan and Mt Gravatt have 20,000 students. These students come from all over the Southside, Brisbane, Australia and the world. As we grow, we want to reach the city. The campus is a hub through which we can reach the city. The many main roads nearby, Pacific Motorway, M2, and Mains road, are arteries into our city. The local area is one of rapid growth and change with 240,000 people in Nathan ward. In the last five years, almost half of 240,000 moved into or within the area and a third were born overseas. Glenn Hohnberg. 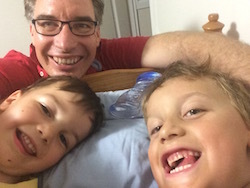 He is married to Kathryn and has four boys: Rohan, Xavier, Kai and Liam. Glenn became a Christian through university student ministry. He completed a Bachelor of Divinity (Hon) at Moore Theological College. 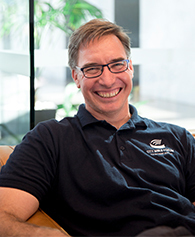 He’s lead an evangelistic mission to the CBD of Brisbane for 9 years and for 2 years has been revitalising City Church at Ann Street Presbyterian. 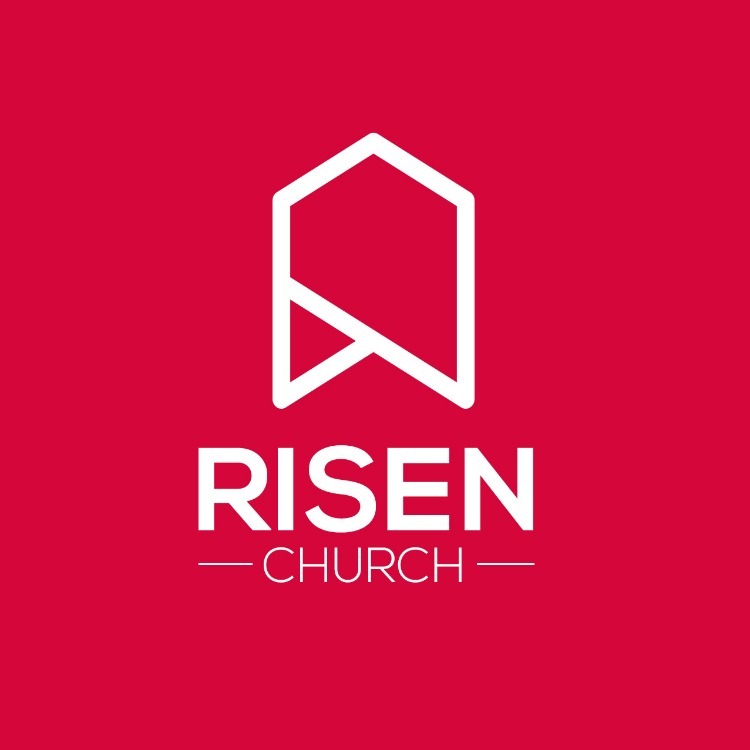 Risen Church will start meeting on Sundays at 4pm starting from the 19th of February. We’ll start off meeting as a small group at 36 Georgina Street in Salisbury. During the week be evangelising on the campus encouraging and challenging students to meet Jesus in the pages of the Bible. We'll also meet mid week in the evening as the Risen Community growing each other in Jesus. As a family we'll meet on Sunday morning as 'Family Church' so that our four boys grow in their love and knowledge of Jesus. To start off the year, we’ll be present during the Orientation weeks at the university to meet students with a campus stall, plus meeting them on campus and in their accommodation and residential colleges. Will this be just for students? By God’s grace we hope to be a church for students, young workers and our local community. With God’s help, we plan to start a morning church with a children’s program in the next few years. 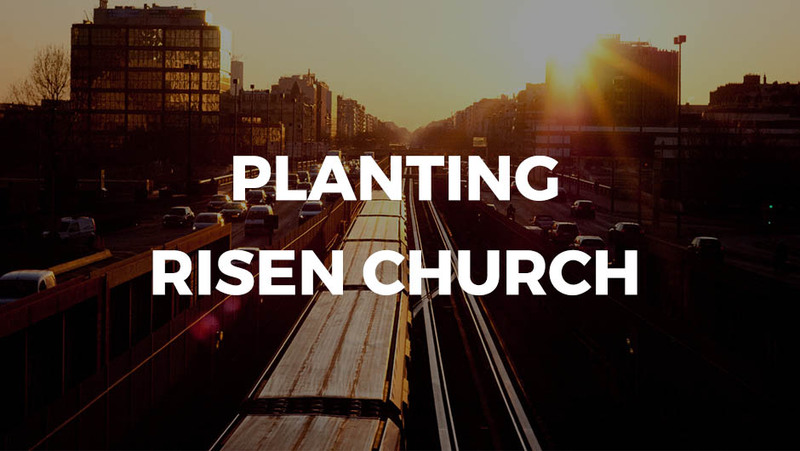 How can you partner with Risen Church? Your financial support helps to see new faith grow in the Southside of Brisbane and the city. We are seeking 40 supporters giving $50 a month to seed fund this new gospel venture. Our budget for 2017 is $40,000 with Glenn working 2 days a week on the church plant. 13/04/2017 Over the last month we've had two small discussion groups going on campus looking at the life of Jesus from Mark's gospel. We've also held a second bbq, with 15 students coming along. In fact, we were a little overwhelmed with the number of people - a good problem to have. We had Christians, Muslims, Sikhs, those that know nothing, and those who believe nothing. We invite all of them to our night on Grace and Karma. 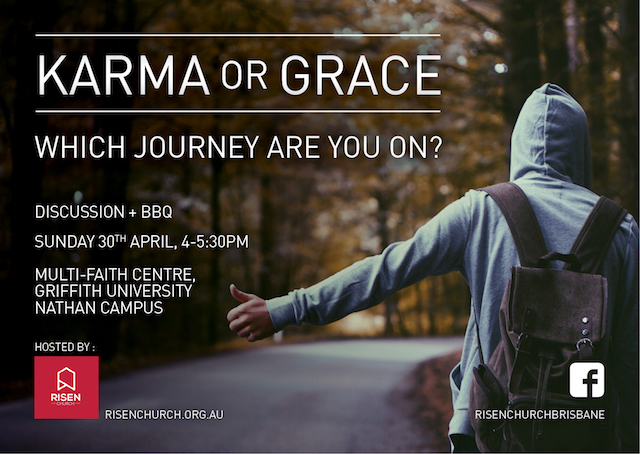 At the end of April we hold our first public event on campus a night discussing Grace and Karma. Under God we are working toward and praying for 50 people to come. Please pray for our launch team to grow. We love to add a couple of hungry Christians to the team. 23/03/2017 The first month of Risen Church has been extraordinary. We've kicked off Sunday Church meetings in our home, they are small but exciting - we've had two non Christians come along, One of these is there almost every week. Just as exciting is that we are being changed by John's gospel. We are thinking about Jesus - the light of the world. We also have dinner as part of church which has created a context to get to know each other well and spend several hours together each Sunday. We held a free campus BBQ to connect with residential students. It was fantastic with 10 students coming and hanging out with us. Many are not Christians. We are very thankful for the guys from City Church who helped out. From these contacts we've got one group reading Mark's gospel with Glenn - looking at the life and words of Jesus and another group forming. It really has been a stunning evangelistic start. Please give thanks to God and pray for these two groups to form. Please pray that God makes our next campus BBQ equally successful. Give thanks to God that we growing in love for each other and for God together. God has brought together a launch team with a real heart for mission. Anonymous $100.00 Exciting start with Risen Church's facebook page. Anonymous $1,000.00 Equipment fund (for signs and other useful stuff) plus anything else! Offline donations $4,010.00 Giving from a range of offline donations from generous givers! Anonymous $100.00 He is risen indeed! Clara Gomez $189.00 God bless you!